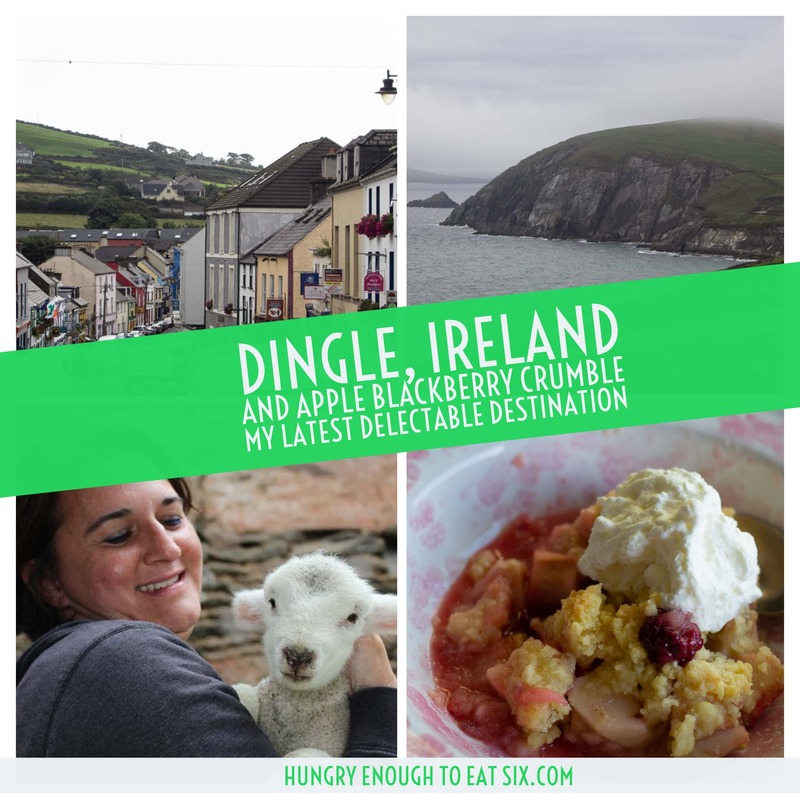 After a day visiting Dingle we had dinner in Castlemaine (Caisleán na Mainge) and the next day set out to visit the city of Limerick (Luimneach). 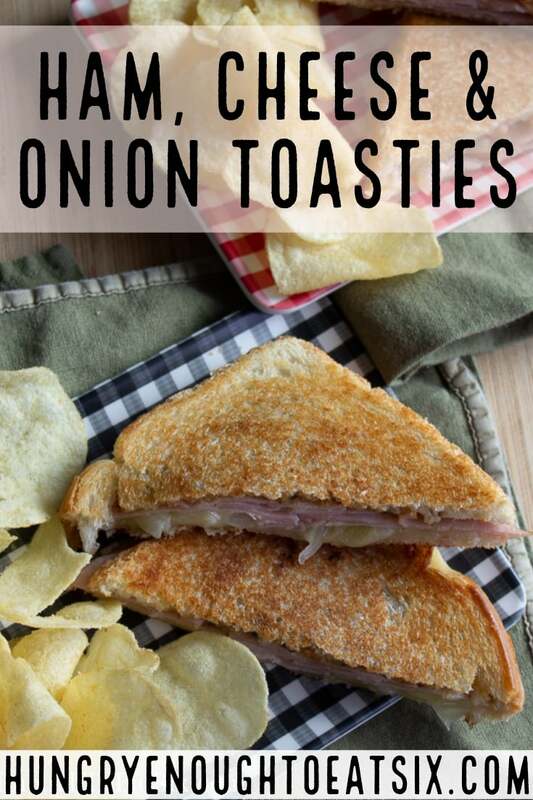 My recipe in this post is for Ham, Cheese & Onion Toasties! When we returned from our drive on Slea Head in Dingle to our room at Murphy’s Farmhouse, it time to grab some dinner. 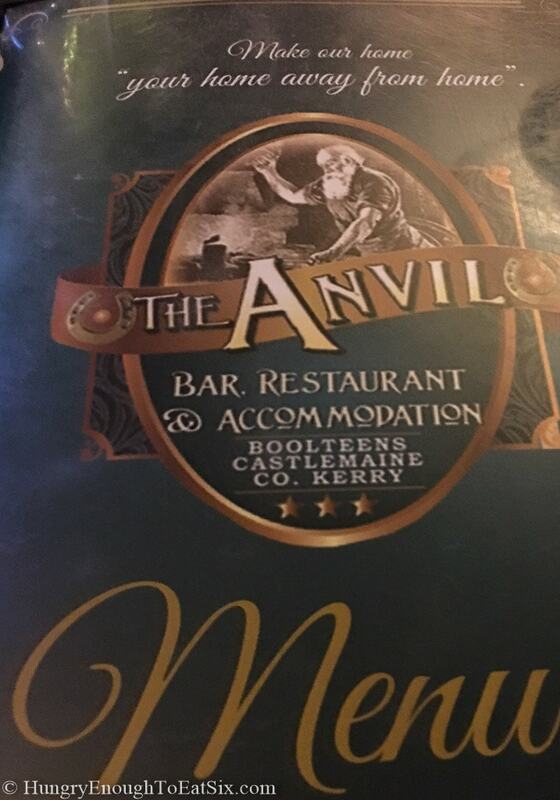 Fortunately for us there were two restaurants within walking distance, and we decided to go to The Anvil Bar & Restaurant right down the lane. This area was a fairly quiet and rural one and the folks eating and having drinks in The Anvil seemed to be mostly locals. Inside we found a booth by the front window where we could settle in and enjoy the friendly atmosphere. 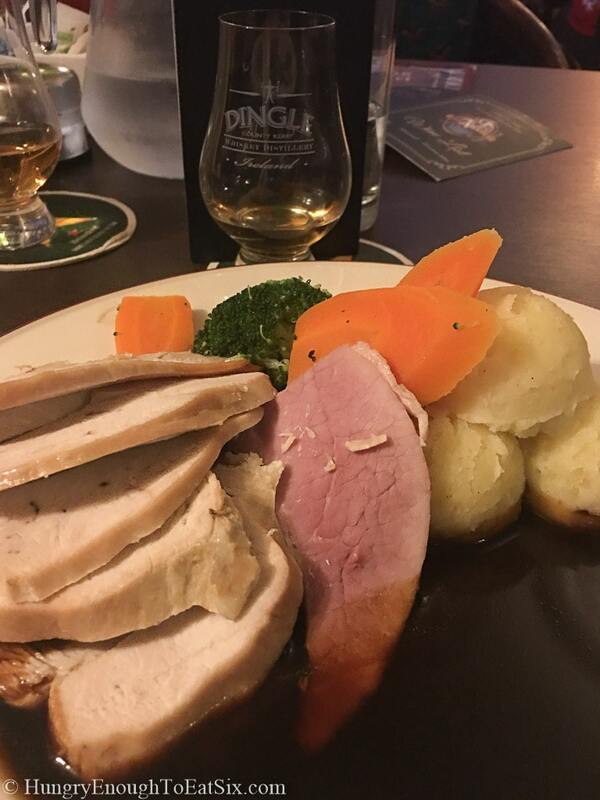 We decided to try a local single malt, from the Dingle Whiskey Distillery. Tasted on its own I thought it was smooth and very clean tasting. And then in combination with a little ginger ale, it was quite pleasant indeed, a nice way to unwind from the day. 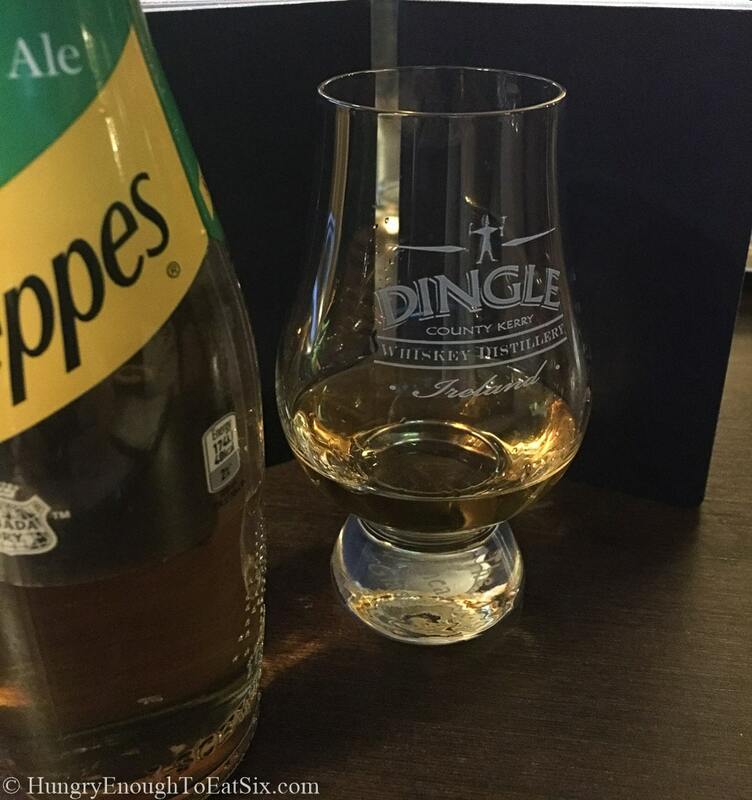 We enjoyed it so much that we debated stealing the glasses etched with the Dingle Distillery logo, and then let our morals get the better of us, deciding just to ask to buy some. But our waitress told us that our two Dingle glasses were the only ones the bar owned! We began with grilled goat’s cheese crostini and the star of that appetizer was the zingy red onion marmalade that came with it! 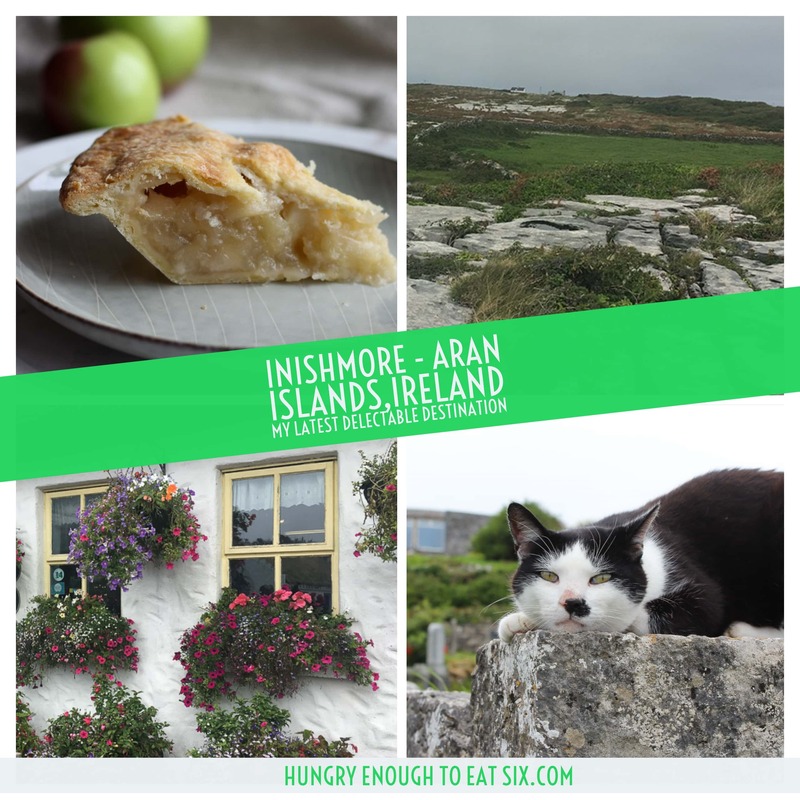 Mom tried hake for the first time, a locally-caught whitefish that John, our driver in Inishmore had told us was in season at that time of the year. 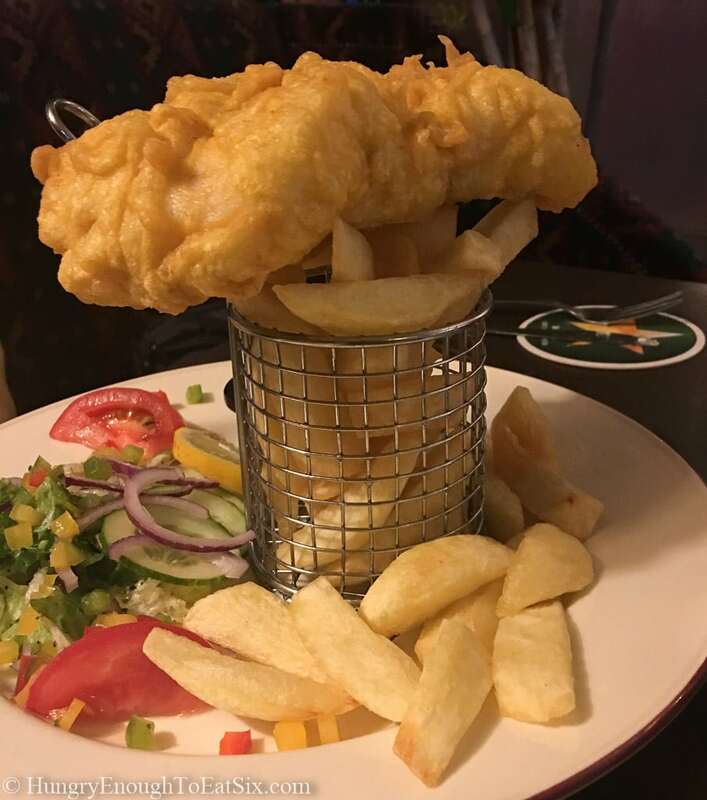 It came battered like a traditional fish ‘n chips platter, and she really liked it. My sister and I had “Truly Irish Roast of the Day” which our waitress warned us would be the size of a big Christmas dinner. And she was right: we had thickly carved slices of roast turkey and ham to enjoy alongside steamed veggies, mashed potatoes, and a lake of dark, rich gravy. We feasted on the massive entrees and on the television near the bar we saw snippets of the Rose of Tralee Pageant (we’d never heard of it). Young women from Ireland and abroad (there were 12 women from the U.S.) compete to be the next Rose of Tralee, judged not on beauty but on personality, ambitions, and social responsibility. 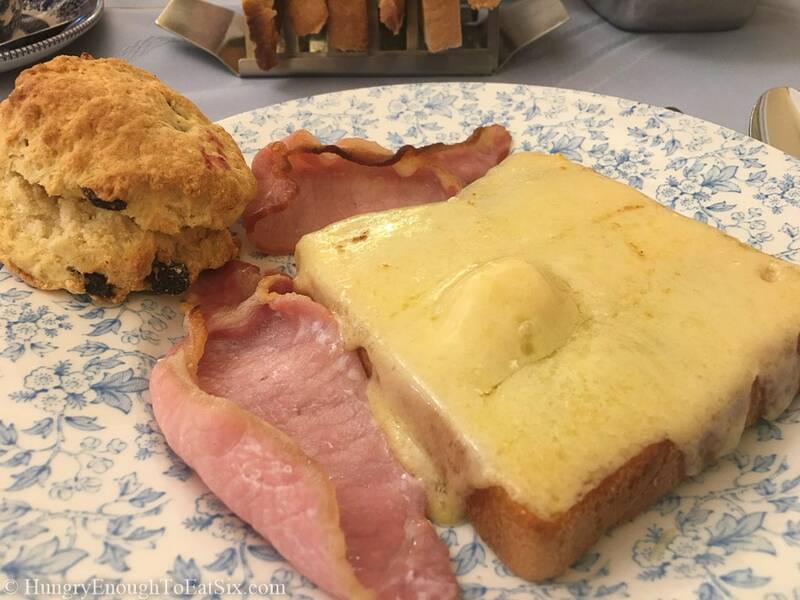 We had our last night at the lovely Murphy’s Farmhouse, and for breakfast the next morning I decided to skip the enormous Irish breakfast of the previous morning and instead had Cheddar on toast, which is just as simple as it sounds but was so rich, gooey, and delicious! 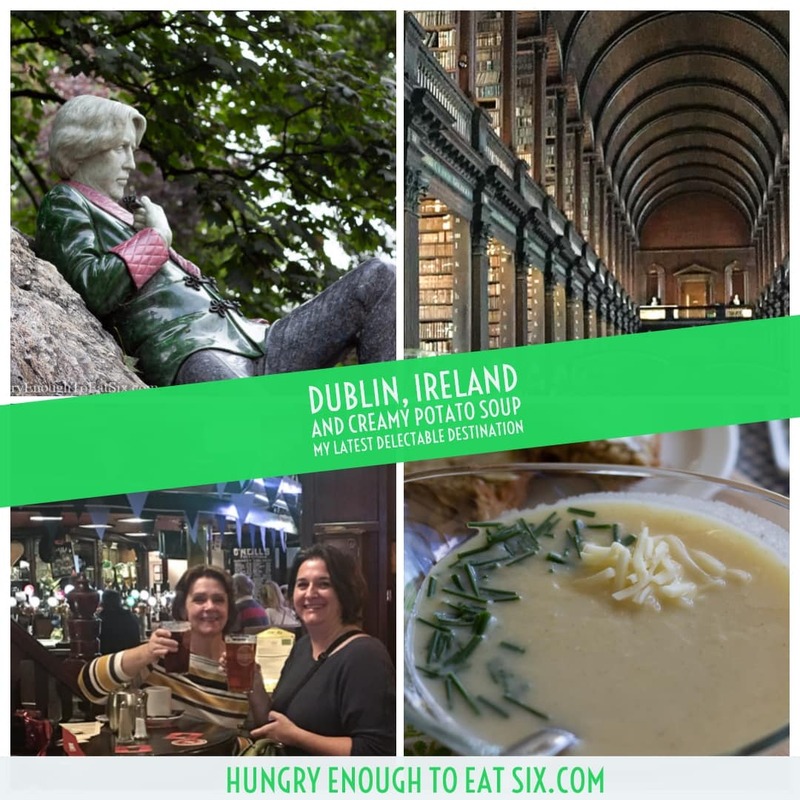 We talked with the owner Mary about our Irish heritage and family names (Riley, Reilly, Fennessey, Lavin, Haren), and then of our plans to head to Limerick for the day. She told us that as a child she knew a family from Limerick with the surname Lavin, and that was really neat to hear! We had two goals for our day in Limerick: to buy some hurleys (the sticks used in the game of hurling) for our sons and for my sister to get a tattoo. 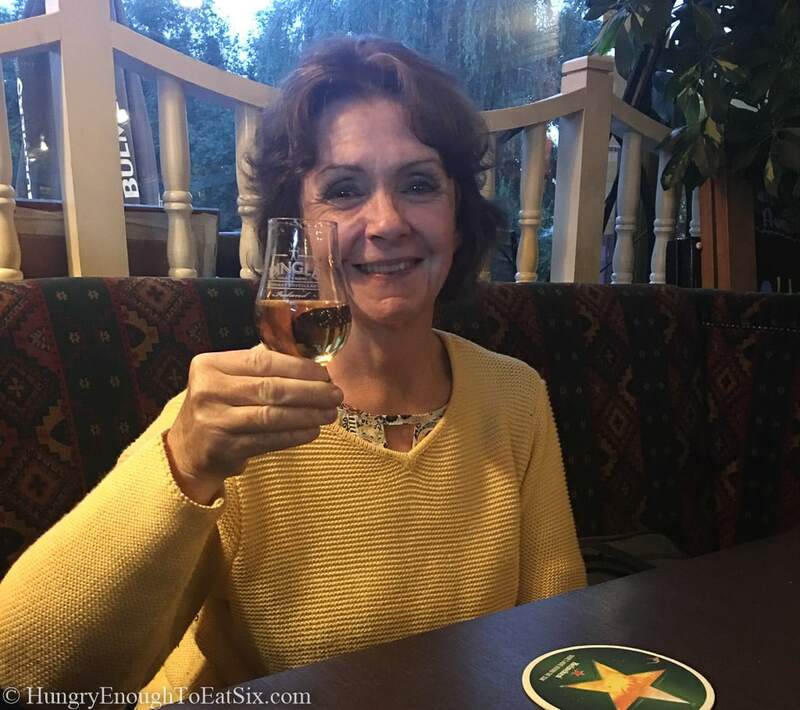 She had achieved everything on her Ireland bucket list (try some Irish whiskey, have a pint in a pub, a selfie with a sheep) except the tattoo. She had been keeping her eye out for a tattoo parlor as we traveled but we hadn’t come across any. 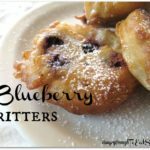 (I’m sure there were plenty in Dublin but not in the tiny area we explored!) But when she checked online for Limerick, she found one: Chapel Street Custom Tattoos. 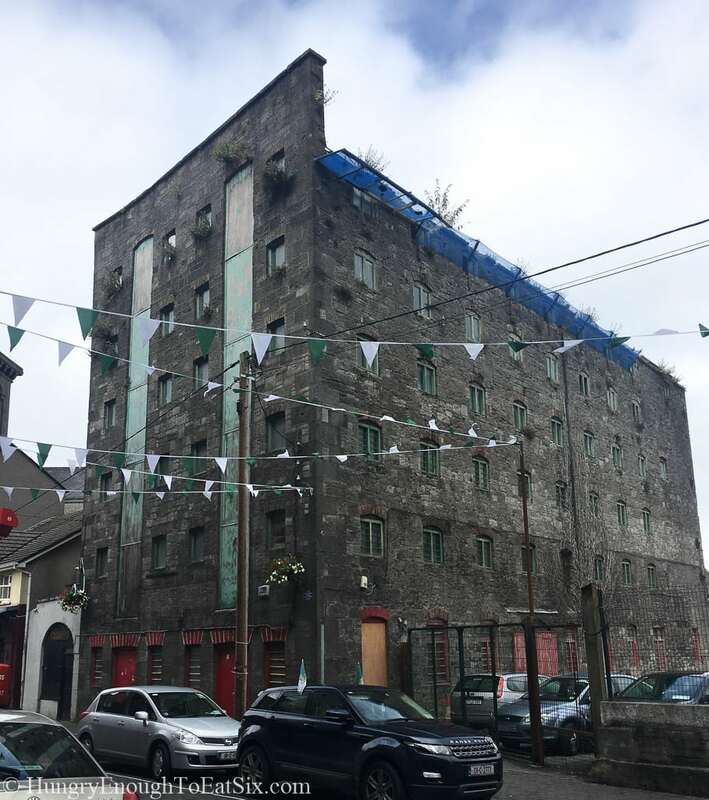 We also figured Limerick would be a perfect place to pick up the hurleys, as they had just won the All Ireland Championship that week, their first championship win in 45 years. If you’re not familiar with hurling, it’s the national sport of Ireland and variations have been played there for thousands of years. The matches are played on a field longer than a football field, and the players run and collide the length of it endlessly while trying to score. 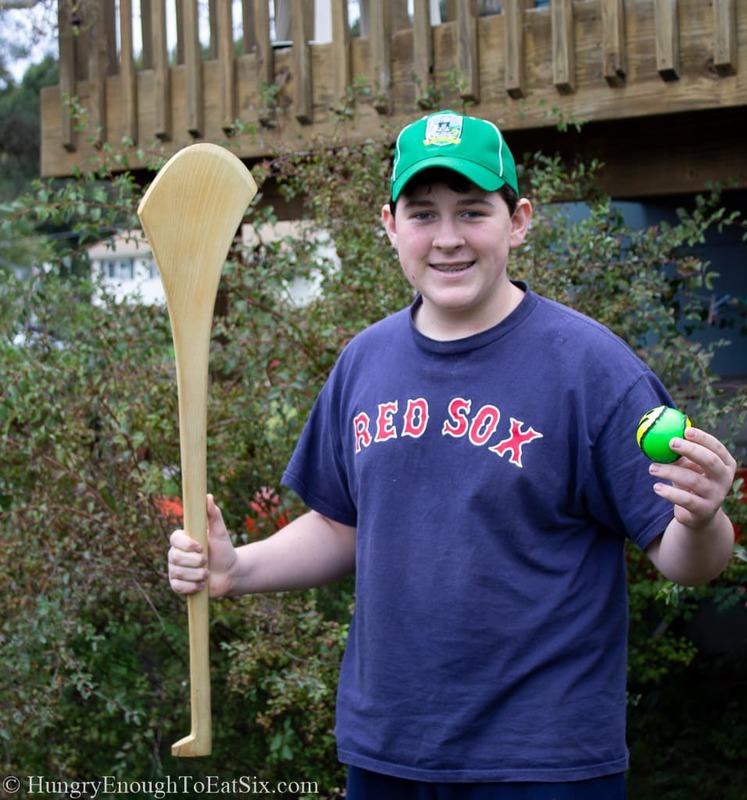 My son showing off his hurley, plus the ball – a sliotar and a hat in Limerick colors. The sticks (hurleys) are similar to field hockey sticks but with a flared end tapered like a blade. With that stick you can hit the sliotar (a small ball) on the ground or in the air. You can bounce the sliotar on the end of that stick – while running! You can hit it with your hand. You can hit other players with that stick… or with your fist! (Well, at least in the video I watched they did.) It is really wild. While watching the videos I wondered if hurling had been, in part at least the inspiration for the game of Quidditch in the world of Harry Potter. The sliotar in hurling is about the size of the elusive Golden Snitch, and like Quidditch the sport has its brutal moments! 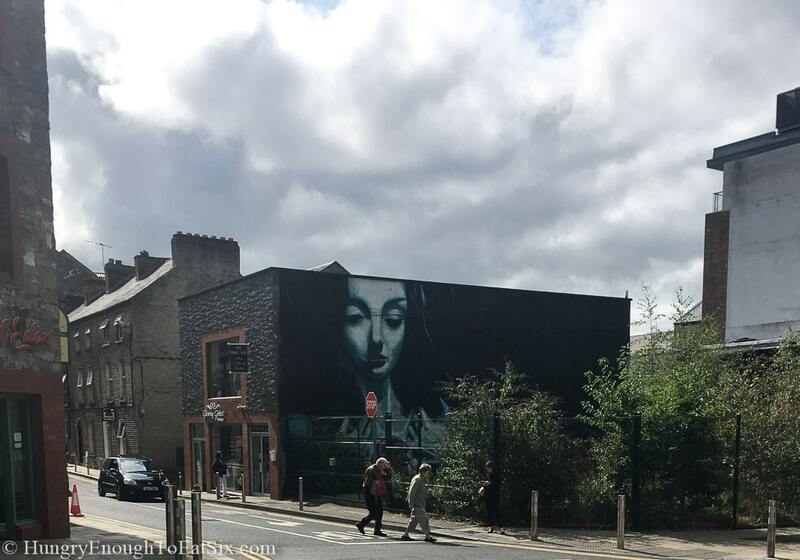 In contrast to the area of Dublin that we had explored Limerick felt very urban, with some tourists but the majority of the people we saw seemed to be residents – heading to work, taking lunch, pushing babies in strollers. 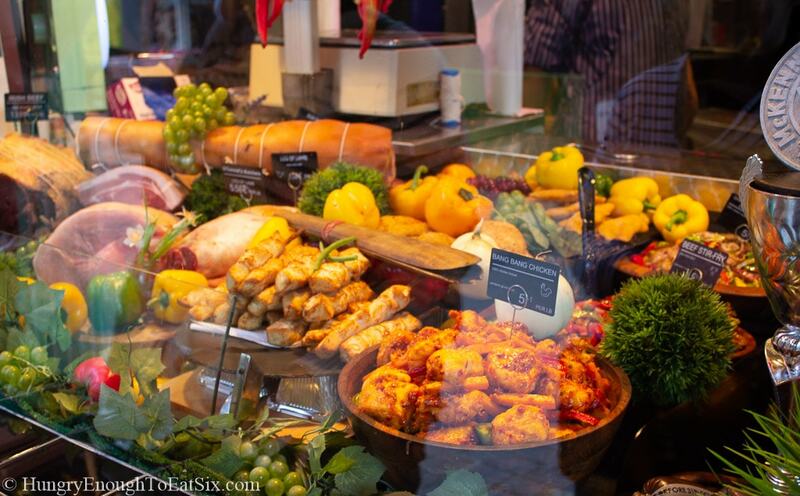 As we walked we saw lots of bakeries and cafés, and several butcher’s shops with beautifully lavish displays of meats and fish, and the butchers all in striped aprons and bowler hats. One of these butchers gave us directions to a local tea shop where we bought some Irish teas to take back home. 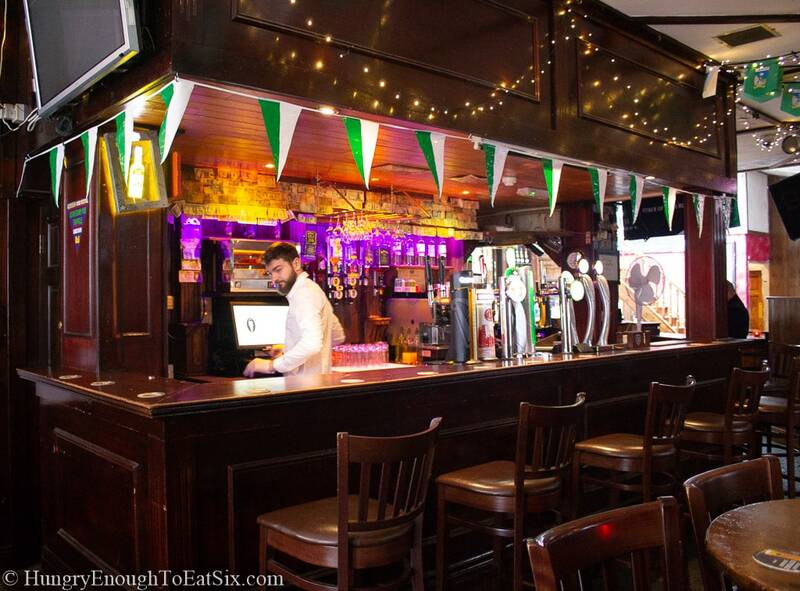 There were still green and white flags hanging in shops and strung across the streets in celebration of the All Ireland win, and we heard from a few shop owners that it had been quite the party when the team came home with the trophy. We found our hurleys and sliotars in a local sporting goods shop, and the young man who helped us looked just like Colin Hanks! My sister found the Chapel Street shop and made plans with the owner to return in a short time for her tattoo. 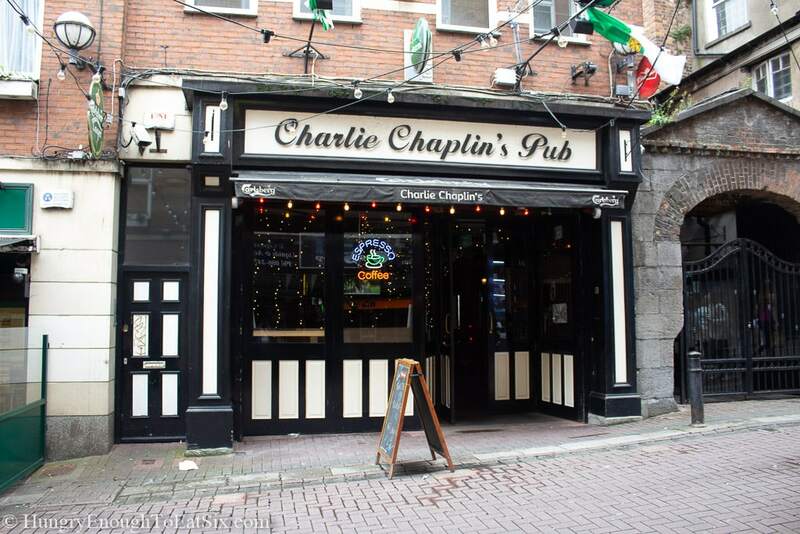 Right across the street was Charlie Chaplin’s Pub and we stopped in there to find some lunch. As it was pretty early in the day and the bar had just opened the only food they had to offer us were toasties. 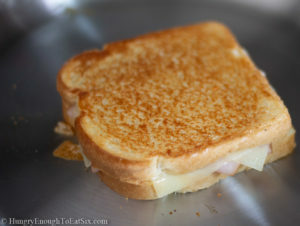 The toastie was pressed in a panini press (but with flat plates, so there were no ridges on our sandwiches.) 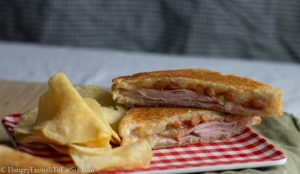 The cheese was melty, the bread toasty and buttery, and the whole thing really hit the spot! After my sister went in to get inked, my mom and I did some more wandering. 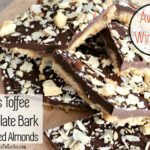 We stopped in a café for tea and Americano, brown bread with butter and a decadent tiffin which is a sweet bar of digestive biscuits (like Graham crackers) crushed and suspended in chocolate. We found a yarn shop for mom to explore, and a second-hand store where I bought a 45 of the song “Only You” by Yazoo. And a short time after we left her, my sister was done! Her tattoo has her sons’ names (my nephews!) 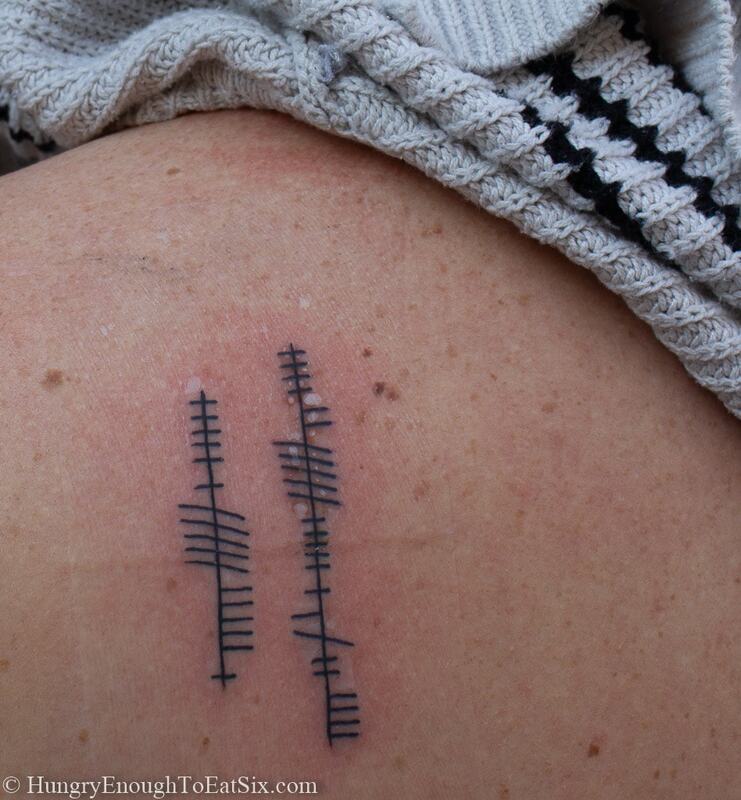 written in ancient Ogham (lines and crosshatches), the first language of Ireland. And with that our Limerick objectives were complete, and we were off to our final B&B of the trip – the Dunaree B&B in Bunratty. Once home and doing more research on toasties, I found this funny and very helpful article from The Guardian.com on what a toastie is and what it is not. 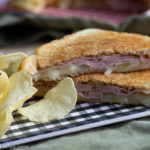 What I learned from this article is that a toastie is meant to be simple, humble: a mid-afternoon or late-night snack, a lazy Saturday lunch, a post-hangover meal. 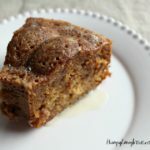 It is comprised of homey white bread buttered on the outside, and with fillings that are not gourmet and that won’t squish or leak out. The sandwich is compressed and grilled to fuse everything together. 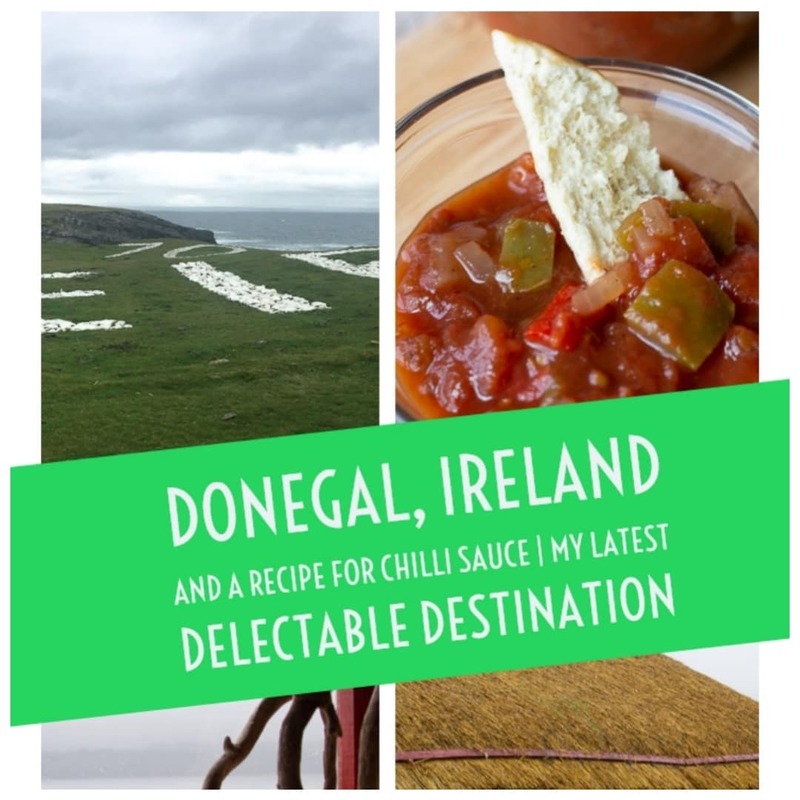 Which is why the ham, cheese, and onion toastie we had in Limerick was so perfect – a grilled cheese but also better than just a grilled cheese. 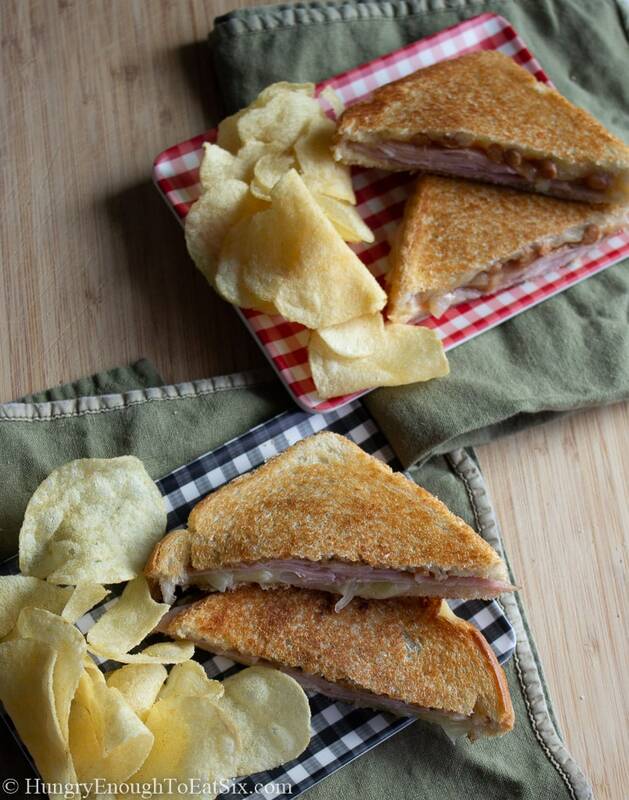 My recipe for a Ham, Cheese & Onion Toastie is below! 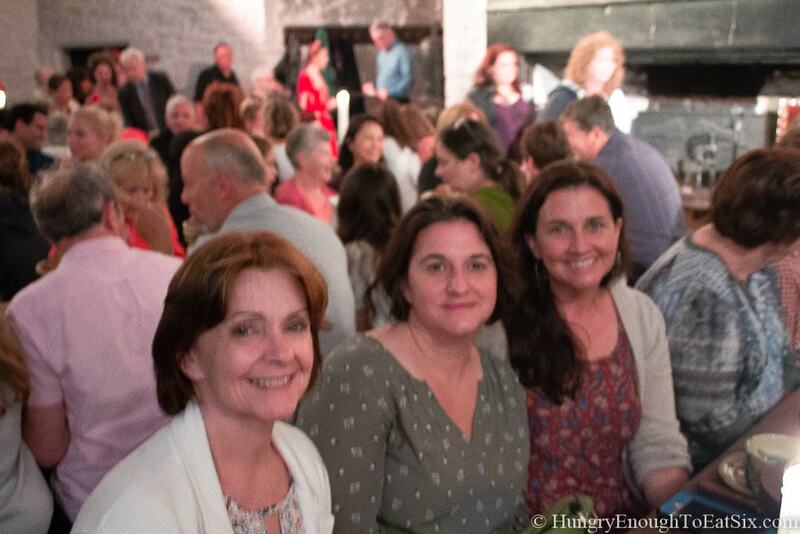 The next post: we’re off to Bunratty for a special night at a castle, and then back to Shannon to fly home! 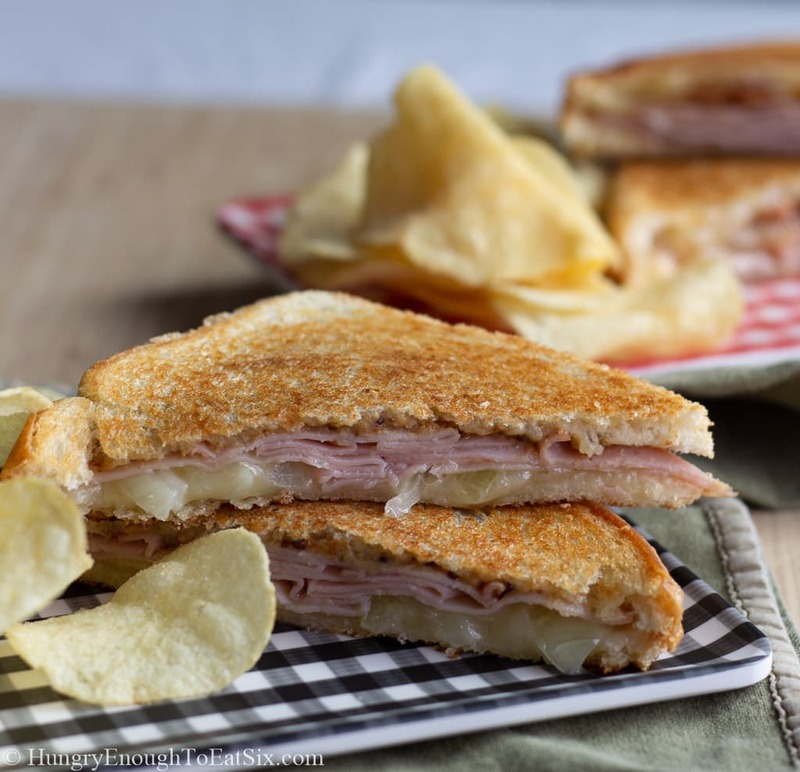 This toastie is a delicious and melty sandwich that is perfect for a midday snack, lunch, or late night noshing! 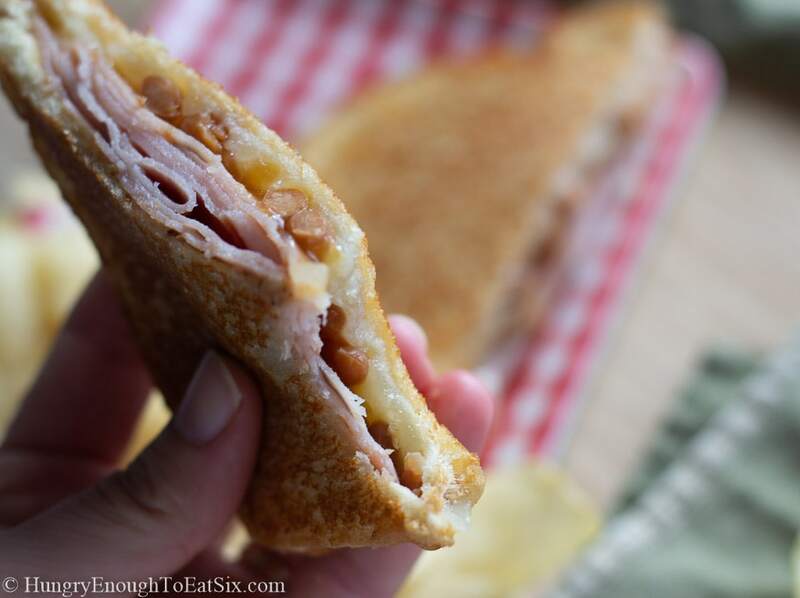 The filling in this toastie is ham, Cheddar and onion. 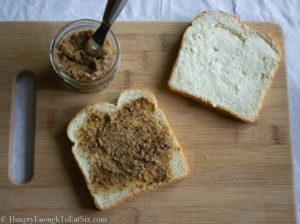 Lay out the slices of white bread and butter the top sides of them. Set two of them aside. Flip them over, and spread two of the slices with the mustard. Top each mustardy slice with one slice of the Cheddar cheese. 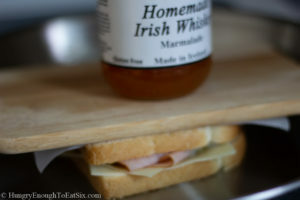 Divide the ham between the two sandwiches and pile the ham on top of the mustard. 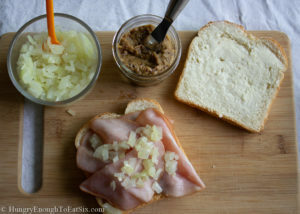 Top the ham with the diced sautéed onion divided between the two sandwiches. 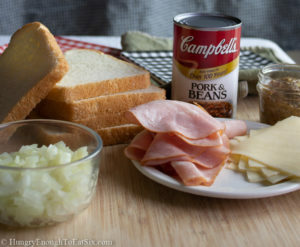 If you are using beans, spoon the beans over the diced onion on both sandwiches. Heat up a medium skillet over medium heat, or if you are using a sandwich press turn it on and heat it up. Place the assembled sandwiches in the hot pan or press. 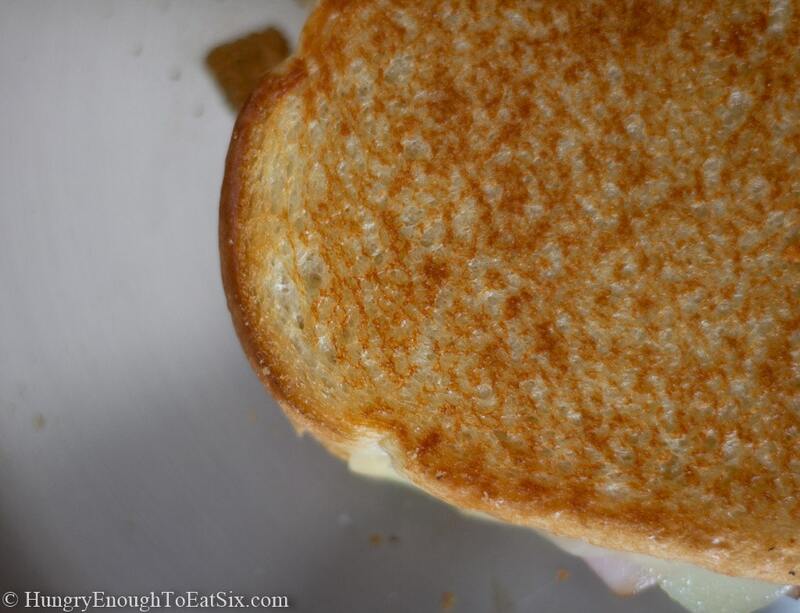 With a press, close the lid to compress and grill the sandwiches for 3-4 minutes until the bread is toasted on the outside and the cheese is melty. 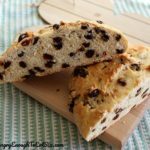 With a skillet, place something heavy on top of the sandwiches to compress them, like a small cast-iron skillet or like I did - a small cutting board weighted down by a jar of jam. Grill the sandwich for about 2 minutes until the bread is lightly browned. 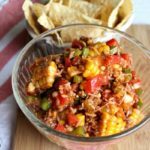 Flip it over, compress it, and grill for another 1-2 minutes. The cheese should be melted and the bread toasted on both sides. 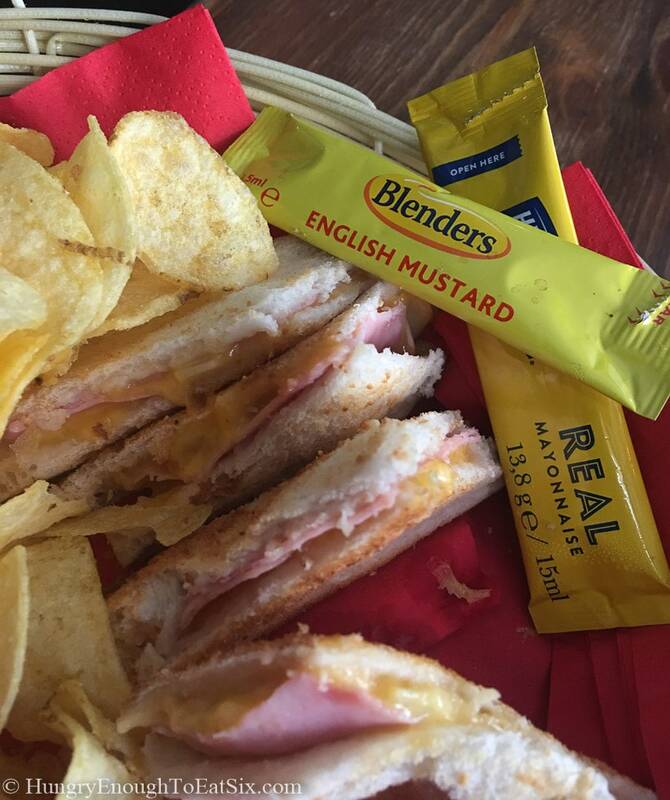 Serve the sandwiches immediately, with a side of Tayto Cheese & Onion chips if you can get them! If you don't have diced, sautéed onions on hand, you can quickly make some: finely dice some yellow onion, and heat up a little oil in a pan over medium heat. Sauté and stir the onions for about 5 minutes until they are soft and turning translucent. Yeah, we need to talk more about your trip sometime! Great post. I would love to see hurling! And I love your sister’s tattoo. I agree, her tattoo is awesome! I love the idea of a sleepover and field trip to the south. Yes, let’s get together soon and get our whiskey on!